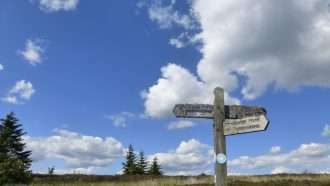 The Southern Upland Way is Scotland’s first and only official coast to coast long distance footpath. 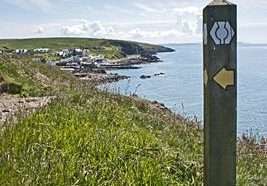 It runs 212 miles (340 km) from Portpatrick on the south west coast of Scotland to Cockburnspath on the eastern seaboard. 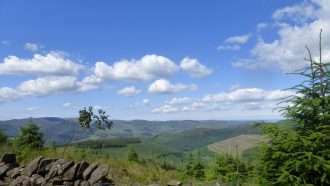 Opened in 1984, it offers superb and varied walking country, still undiscovered by many walkers outside of the UK. 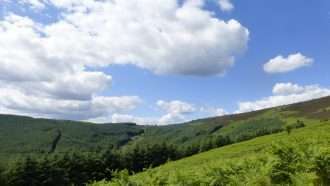 Thru hiking the complete Way may provide a challenge for the less experienced walkers and takes 16 days to complete, that is why we are also offering as separate itineraries the East and the West sections of the Southern Upland Way, suitable if you are less ambitious or if you only have a week to spare. 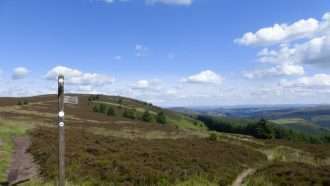 The Southern Upland Way East from Moffat to Cockburnspath takes 7 nights (8 days) to complete. Today you arrive in the town of Moffat. 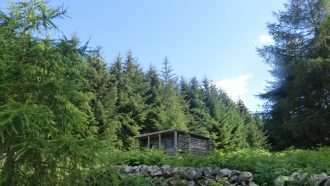 It is easily reachable from Glasgow or Edinburgh by bus or train (3-4 hours). 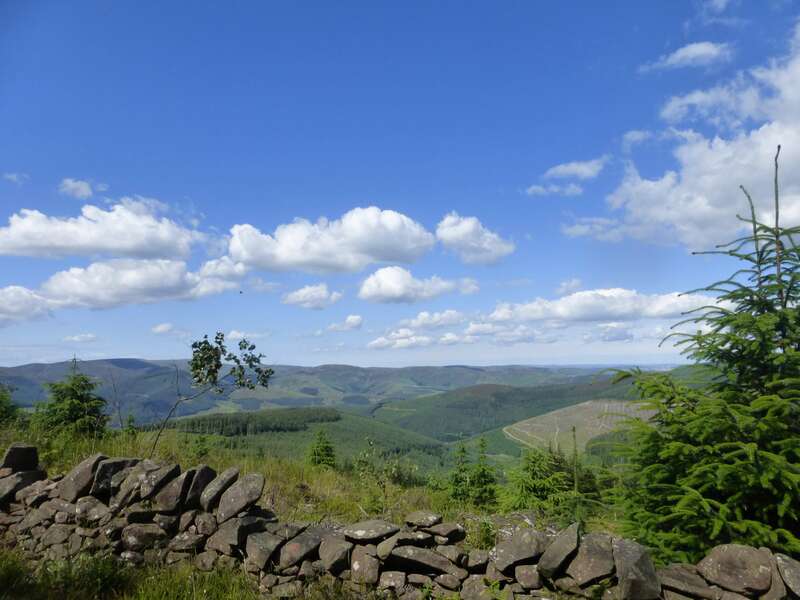 Enjoy fine open views, finishing at the fabulously situated Tibbie Shiels Inn. 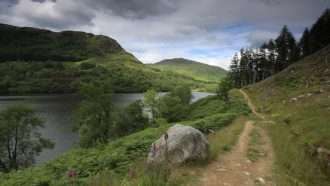 From Beattock the Way crosses first the motorway and then three rivers before climbing up out of the farmland and into more forestry. 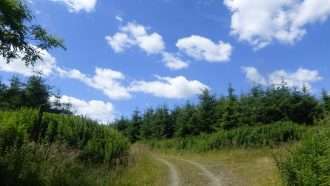 This is a short section on the forest road and soon you have the opportunity to climb up onto the hills towards Ettrick Head. 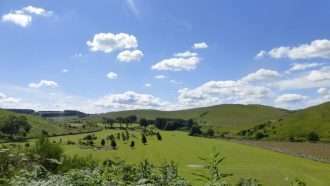 This is the border between Dumfries and Galloway and the Scottish Borders. 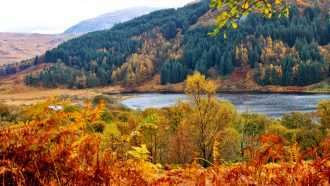 It is also the watershed of Scotland. Every drop of water that falls on the land behind you ends up in the Atlantic. From here on everything drains into the North Sea. From Ettrick Head the Way soon joins a track which follows the Ettrick Water until Scabcleuch where it again heads up into the hills and heads towards St Mary’s Loch. 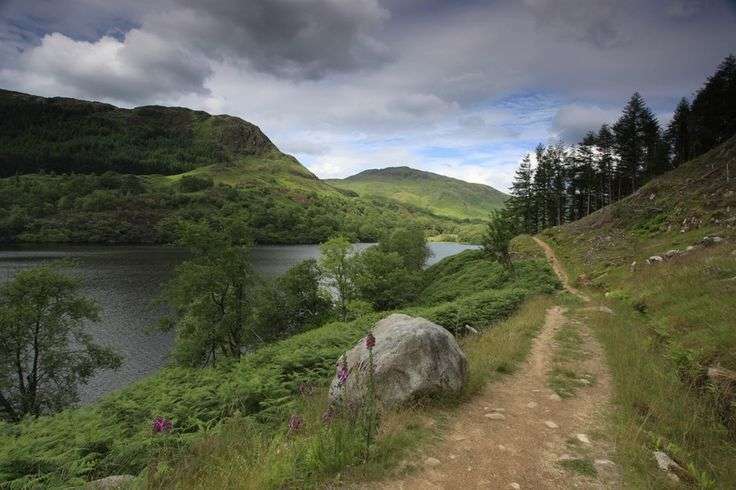 This is a shorter section that should provide a welcome break after the last few days.The walk starts off along the side of St Mary’s Loch, Scotltish Border’s largest inland loch. 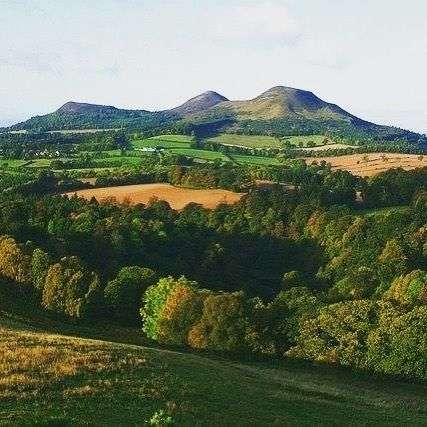 It then heads cross-country through the hills before descending into the Tweed valley and joining a minor road into Traquair. 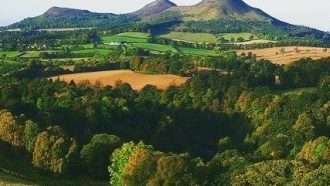 Enjoy walking through farmland, forest and open hill, ending near the castle at Traquair House, Scotland’s oldest inhabited house. Fantastic ridge walking along the famous Minchmoor road, then down to the Yair valley and over hill farmland to the biggest town on the route. 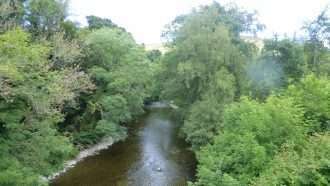 Along the River Tweed to historic Melrose, then along a Roman Road to the quiet village of Lauder, with its several fine inns. 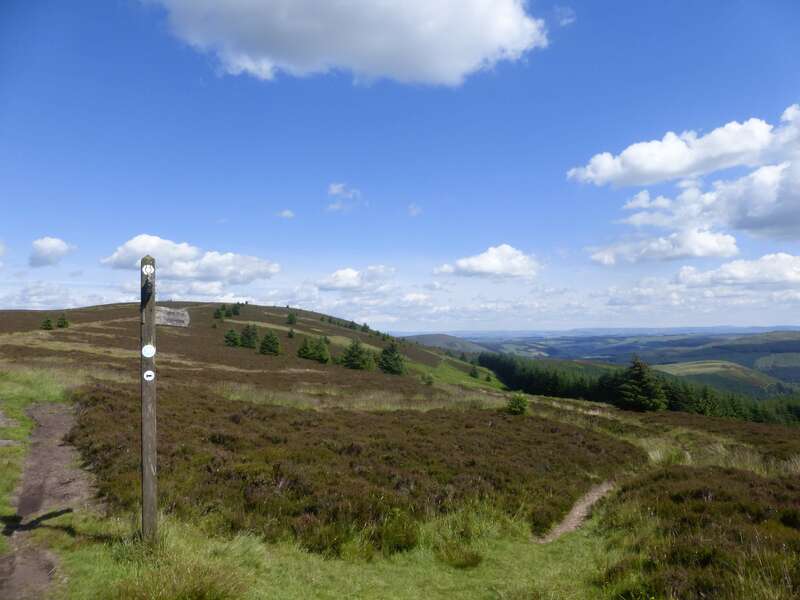 Today’s route winds through the Lammermuir hills. All the large uplands are now behind us, so this section is gently rolling hills and high moorland walking, mainly on good tracks. 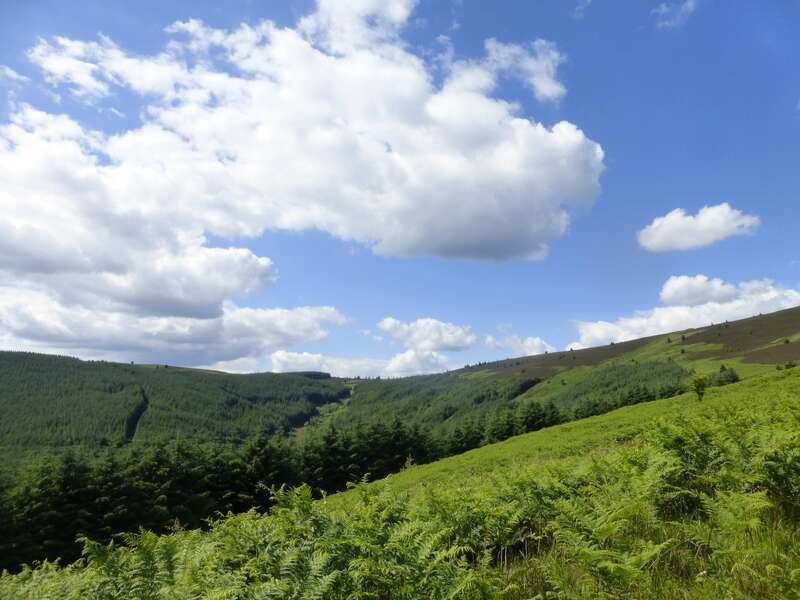 The last walk is good mixture of scenery – farmland, woodland and open moor, with a clifftop walk near the end. 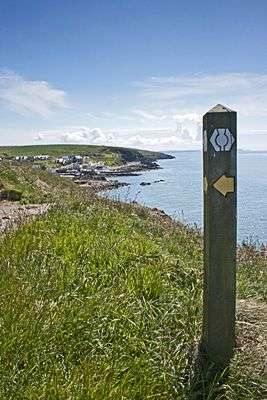 Once past Longformacus, the route goes through arable farmland towards the coast where it follows the cliffs for a mile or so before heading into Cockburnspath and the end of the Way. Overnight in Cockburnspath. Departure by bus or train to Edinburgh (1.5 hours) or on to Glasgow. Additional nights at the end of the walk can be arranged. 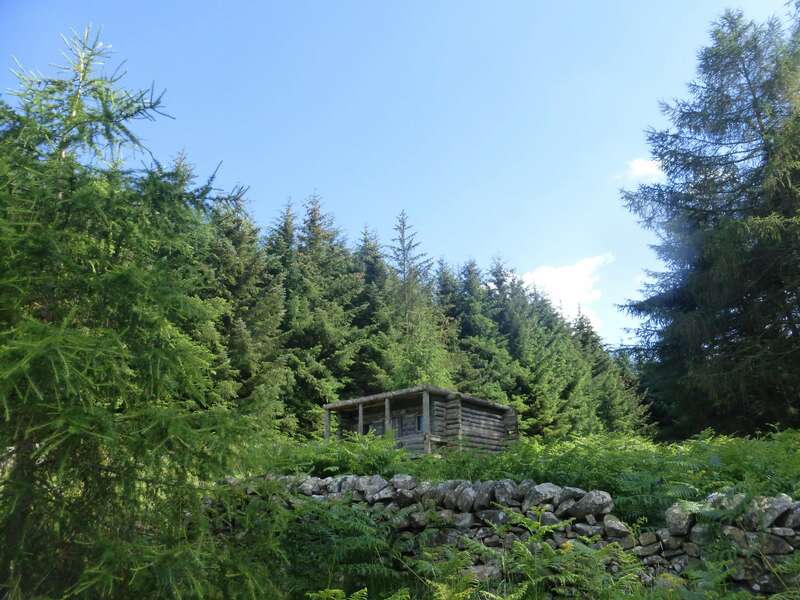 Nice hotels and B&Bs, all offering comfortable en-suite double or twin rooms. All places have been carefully hand-picked by us and their quality is regularly monitored. We have tried to choose accommodations that offer friendly service, clean and comfortable rooms and local flavour. Note that hotels are subject to availability. In case a particular hotel from the ones pictured above is fully booked for your desired dates, we will replace it with a hotel of equal or higher value and quality level. We will provide exact accommodation details to you upon booking confirmation. Each hotel and B&B has been hand-picked to ensure you enjoy the most welcoming, comfortable and value-for-money experience on this route. 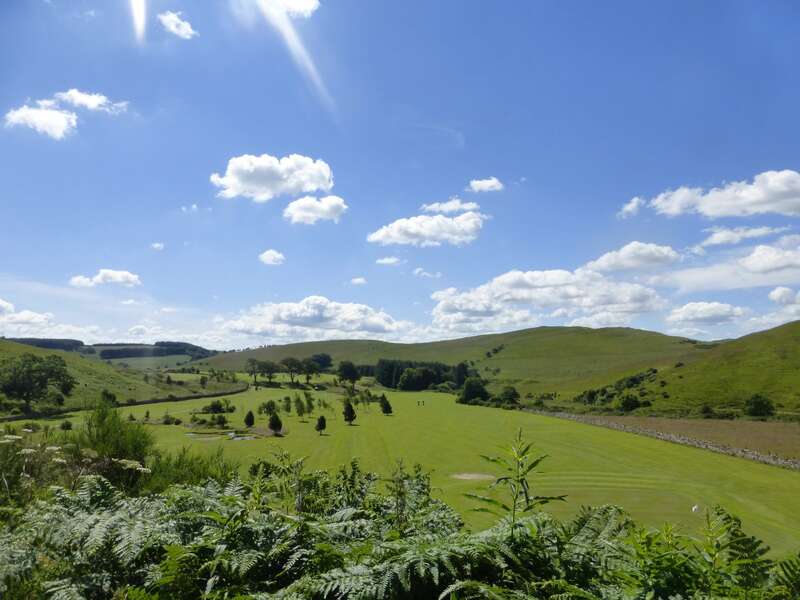 A warm welcome awaits all walkers and hikers, with hotel owners keen to hear stories of the day’s adventures. Evening meals and packed lunches for the onward journey are available throughout, however, please note that they are NOT included in the holiday package. Breakfasts are included each day. To Glasgow or Edinburgh – There are excellent air, train and bus services, allowing easy access from anywhere in the UK and overseas. 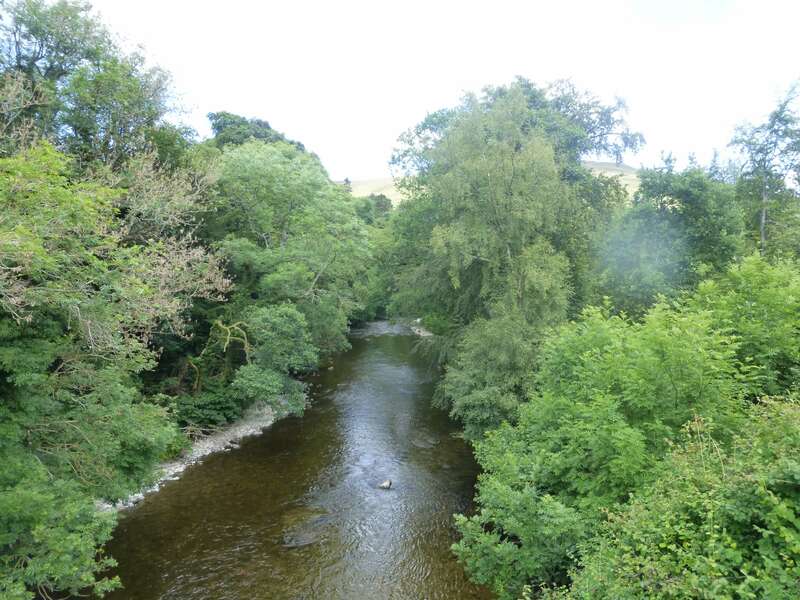 To Moffat – it is easily reachable from Glasgow or Edinburgh by bus or train (3-4 hours). From Cockburnspath – The main routes are by bus and train (from Dunbar) to Edinburgh; journey takes 1.5 – 2 hours (and on to Glasgow if required). 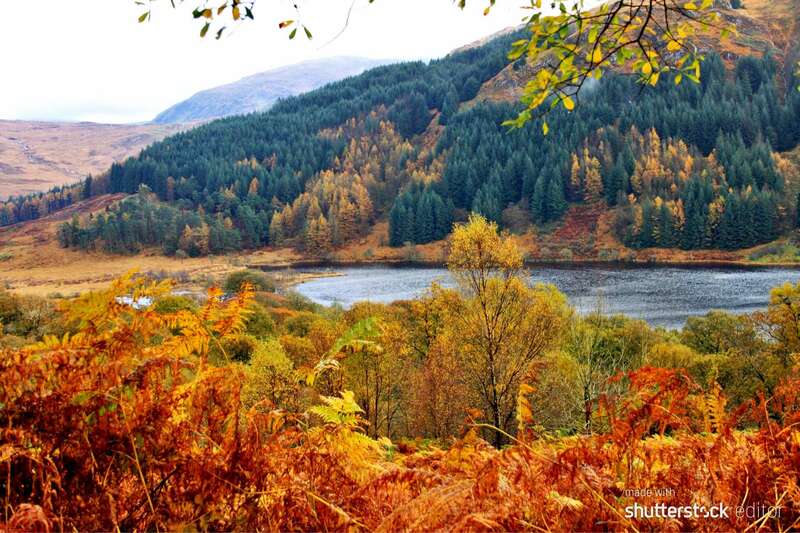 There is also the option to travel north to Inverness if looking to extend your holiday. Another great website useful specifically for public transport planning within Scotland is Traveline Scotland. Connecting transfers by public transport (train or bus) are recommended for this trip, as they are much cheaper compared to private car transfers. Each walker will be allowed one bag, of up to 20 kg in weight, which will be transferred between accommodations. Although daily elevation gains are not very big, you should be prepared to walk on average 16 miles (26 km) or 6-7 hours per day. 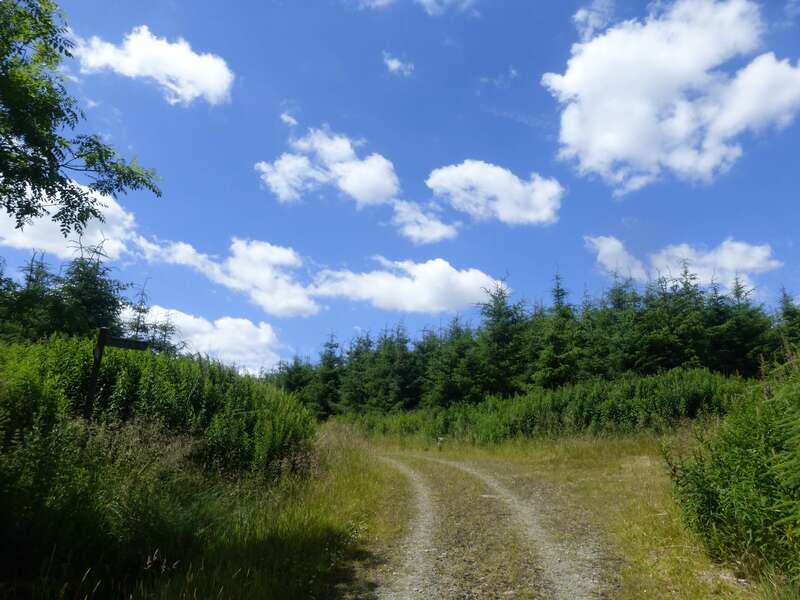 Some days will be more challenging than others and the terrain will be varied with some rough and rugged footpaths (read more about difficulty grades). 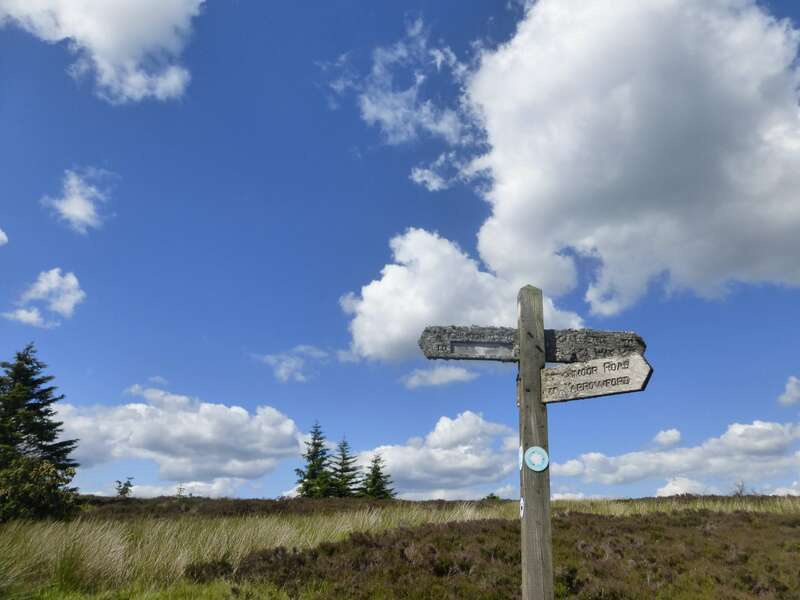 The route is generally well signposted throughout, however, walkers must be vigilant at all times as there are paths and junctions along the way which deviate from the main route and sometimes the trail is obscure. As well as the Guidebook, your package includes detailed map of the full route. We highly recommend that at least one member of your party is a competent map and compass reader. We strongly advise you to follow only marked trails and never try to shorten the path through the unknown and unmarked terrain. We will provide you with detailed road notes and maps, and you can call our 24/7 local assistance phone number anytime. More detailed info on route navigation will be included in your holiday information pack. This trip is available to commence every day from 01 April till 30 September. We recommend that you travel as light as possible – airlines might charge you an extra fee, and during ground transfers, the place might be limited. Ideally, you should bring one piece of luggage weighing not more than 20 kg (to be checked in) and a daily pack (15 – 20 l rucksack) for your everyday essentials (snacks, drinking water, camera, etc.). Below is a non-exclusive list of what you should bring to this trip. More detailed info will be included in your holiday information pack. If you need further advice, please contact a reputable outdoor retailer or us. Please click the CHECK AVAILABILITY button above to see the price of the holiday and the different options, extras and supplements for your desired dates. Personal expenses such as phone calls, extra transfers, tips, etc.